Parents always marvel over how quickly the baby and toddler years pass, and say that before you know it, your precious child is heading off to school. It probably didn’t feel like time was moving that quickly when you were trying to get an infant to sleep every night while you kept yourself going by sheer willpower! But either way, the day comes all too soon when you must wave goodbye to your baby at the school gates. School is a place that’s going to have a dramatic and lasting effect on your child, so selecting the best school is vital for their welfare, development, and prospects. It does put quite a burden of responsibility on your shoulders, and many parents find choosing the right school a highly stressful experience. If you’re in a position where you need to start thinking about enrolling your child in school, there are ways in which you can achieve the best results with the minimum of stress. In many places, it seems you have to enroll your child before it’s even born if you want to secure a place in a good school. Of course, things might have changed by the time they reach school age, and what was the top school five years ago is no longer as desirable as it used to be. Parents often believe that if a school has a good reputation, then it will be the best choice for their child, but there’s far more to a good school than its name. Going on name and reputation is no guarantee that a school will be the right fit for your child either, even if it is perfect in many respects. What if your child has special educational needs, for example, they’re on the autism spectrum? Will the school with the prestigious name provide the kind of learning environment and care that your child needs to achieve their potential? Rather than going solely on reputation and prestige, research all the schools in your area that sound like they have the ethos and facilities you’re looking for. You’ll need to be clear on what elements make up your ideal school, and these can vary from family to family in their specifics. For instance, in some cases sports facilities could be a priority, in others, it will be performing arts. Where does each school excel, and in what areas does it have a special interest or expertise? You’ll also want to find out about theschool’s moral standpoint and the underpinning of the school philosophy. If religion is important to you, this could well be a priority consideration in drawing up your shortlist, but if you’re not religious, you could still have some strong views on how you want religion to play a part in your child’s life and education. Draw up a list of possible schools from looking at school websites on the Internet to start with. If you’re wondering whether only using online research gives you a broad enough scope, ask yourself whether a school with a sub-standard website is likely to provide the best education for a child in the twenty-first century. You’ll get a good idea of what’s essential in the school and how your child will be cared for and educated, as well as information on extra-curricular activities and opportunities for learning outside of school. 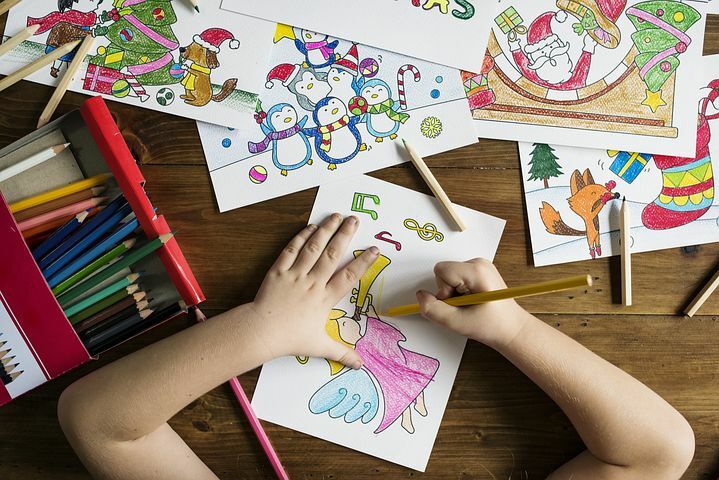 Ideas about the best way to teach kids changes over time as new ideas are triedand educational researchers study the achievements of pupils under different systems. If you aren’t up to speed on educational methods, it’s worth finding out the basics about each, so you can compare them to your own preferences, assess them against the way your child learns, and discuss the principles with the school’s teachers when you visit. Broadly speaking, there is a spectrum of teaching methods, ranging from learning by rote (constant repetition of facts) to learning by doing. Project-based learning is a method of learning by doing, based on children learning through designing, creating, and analyzing their own themed projects for lessons, instead of just writing about the subjects concerned. It’s a method that is proving successful, especially for children who struggle with traditional teaching methods, and pupils are often more engaged with their school work and enthusiastic about lessons if they are project-based. Many provinces in Canada have moved to a project-based learning model, even to the extent that they’re reformed the provincial exams system to make it project and classroom-based rather than using traditional exam models. Don’t be afraid to ask questions when you visit the schools on your shortlist. Think about what you want to know in advance, and if the topics aren’t covered as you look round the school, ask afterward. Think about your child’s perspective as a new pupil, and ask questions about bullying policies, safeguarding measures, and friendship or buddy schemes. Find out what the school’s catering facilities are like, access to drinking water, the conditions of the toilets and changing rooms. One way of finding out a lot about a school is to ask about their library facilities. A principal who is enthusiastic and supportive of the library or learning center and understands how important it can be for children’s literacy both on and offline is someone you can be confident has a forward-thinking, contemporary approach to children’s education. Once you’ve gathered all your information from your visits, you should have a much better idea of which school is going to be the best overall for your child. It’s unlikely that one school will have all the qualities you’re looking for – if it does, sign up quickly! If you have to choose between schools that each have some of your requirements, consider which attributes are the priorities and how you could adapt. For instance, if one school fits the bill in most respects but lacks after-school activities, you can always arrange for your child to join local clubs and special interest groups instead. Trust your instincts when you visit a school because it’s likely you’ll get a good feeling if a setting is right for your child.